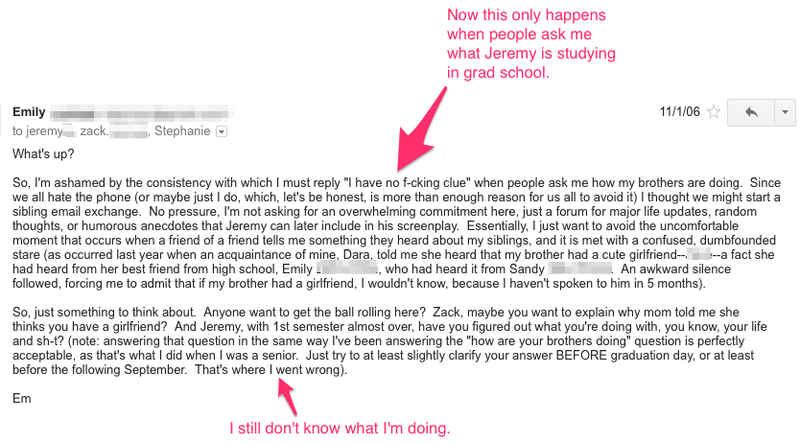 The following sibling email exchange took place in 2006. Steph and I were living in an apartment together in NYC– she was in law school, I was in graduate school. Jeremy was a senior at Penn. 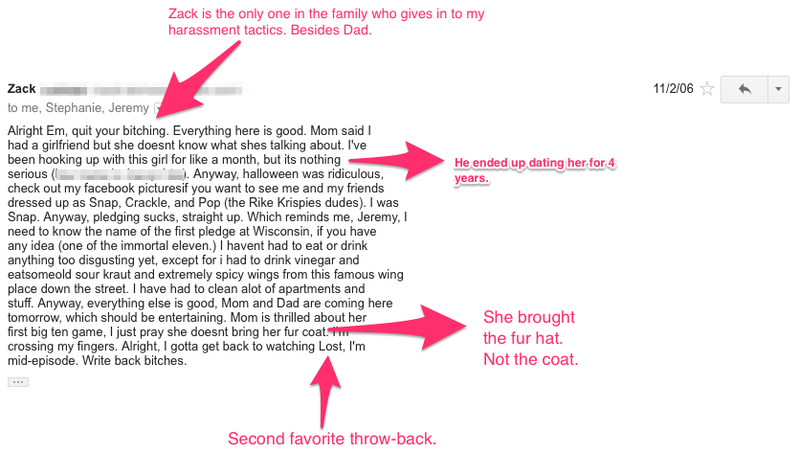 Zack was a freshman at Wisconsin. The whole chain was started as an attempt to improve communication skills in our family. It failed. But what did happen is that Steph contributed one solid, ridiculous email that made the rest of us genuinely laugh out loud. To this day, it has never happened again. 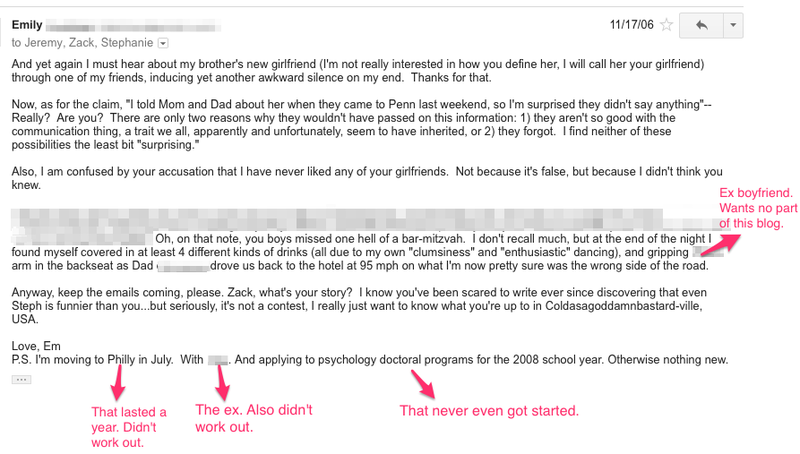 I already posted that email (here), most of which she forced me to redact. So it’s not included below. 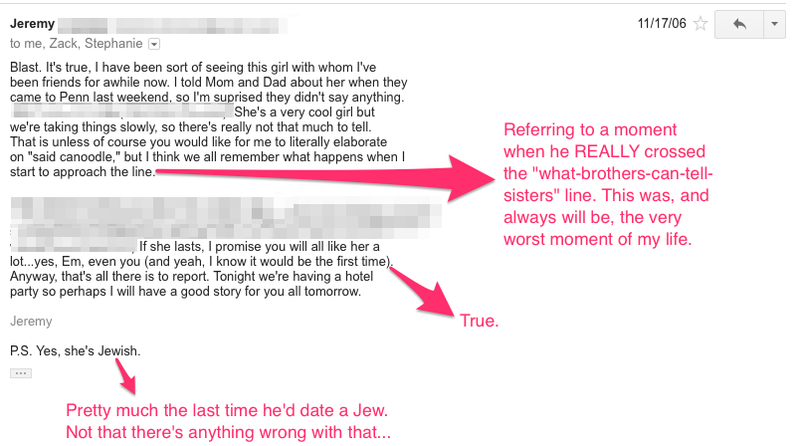 The rest of the emails in the chain are, including Steph’s only other contribution (at the very end), which is much more in line with her character. 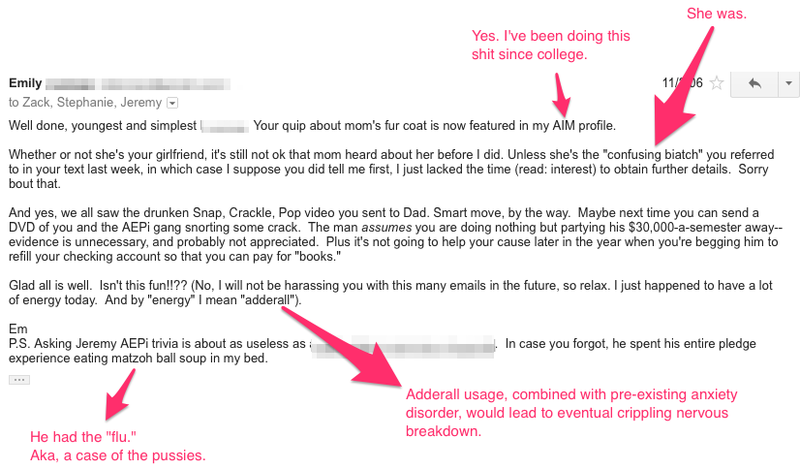 The emails themselves are not all that hilarious, but as a chain they create a pretty clear picture of the family dynamic, with some classic throw-back references. 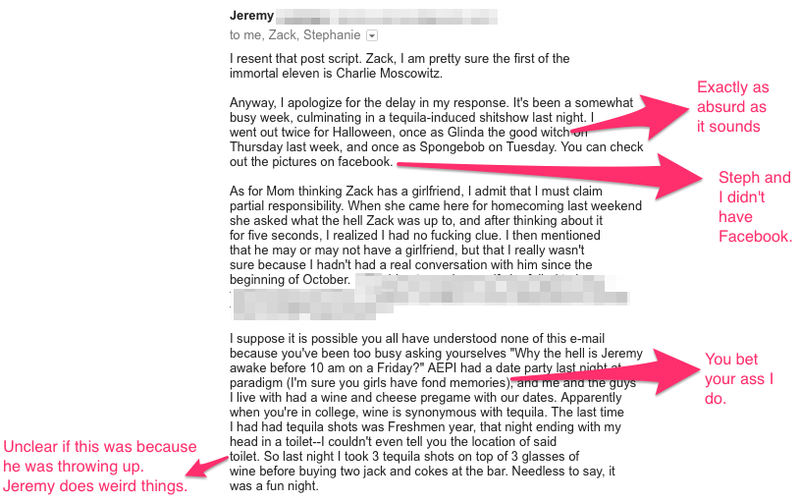 **Note: any blurred-out content has been done so to protect the innocent– most importantly those who made the regretful decision to canoodle with Jeremy.